Expert tip #3: Pick up Weapon Focus to gain cool tricks with the weapon of your choice! You wield the powers of life. Invigorate:As a standard action, you may invigorate a touched creature, granting them temporary hit points equal to your caster level (minimum: 1). Unlike normal temporary hit points, this ability can only be used on an injured target and cannot raise a target’s current hit points plus their temporary hit points to be higher than their total hit points. This benefit lasts for 1 hour. Temporary hit points, even from different sources, do not stack; only the highest bonus applies. Cure:As a standard action, you may spend a spell point to touch a target and heal it an amount of damage equal to 1d8 + your caster level. This is a positive energy effect, and as such may be used to harm undead (Will half). Heals 1d4 points of ability damage to one ability score of your choice. Removes the fatigued condition or lessens exhaustion to fatigued. Removes the sickened condition or lessens nauseated to sickened. Removes the shaken condition or lessens frightened to shaken, or panicked to frightened. If the condition targeted is part of an on-going effect, this suppresses the effect for a number of round equal to your caster level. This cannot be used to remove curses or instantaneous effects. Your cure ability heals an additional 1d8 hit points. Your restore ability removes all magic from the target that has a duration. 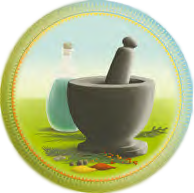 This may be used against curses including cursed equipment, although it does not remove the curse from the equipment, but instead suppresses the effect long enough for the item to be removed. You must succeed at a magic skill check against each magical effect in order to remove it. You may choose not to remove certain effects if you so desire (for example, you may target only harmful effects and not beneficial ones). This counts as using the break enchantment or remove curse spell against those spells and effects that specify they can only be removed through those spells. This has no effect on instantaneous effects. You may store a cure within yourself, allowing you to access that healing as needed throughout the day. You spend a spell point and roll the damage healed as normal, except rather than healing by the given amount, that amount of healing is stored. You may store multiple cures in this manner to increase the amount of stored healing, but you cannot store more healing within you than 10 x your caster level. Stored healing is lost when you rest to recover spell points. You may draw on this stored healing to heal targets exactly as if using your cure ability, except you do not need to spend a spell point; you may choose the amount of healing granted (to a maximum amount equal to your stored healing), and any healing granted to a target is subtracted from your stored healing. Your cure effect heals 2 points per caster level instead of 1 point per caster level. You may take this talent a total of 4 times. Each time this talent is taken, increase the amount healed by 1 hit point per caster level, to a maximum of 5 hit points per caster level. When placing an invigorate on a target, add your casting ability modifier to the amount of temporary hit points granted, and increase the duration to 1 hour per caster level. When restoringa target, instead of lessening the exhausted, nauseated, frightened, and panicked conditions, they are completely removed. This also heals all ability damage and the stunned condition. You may spend a spell point when using invigorate to allow your invigorate to increase a target’s effective hit point total to reach beyond their usual hit point total, as is normal with temporary hit points. This means you may use this talent to grant an invigorate to a creature already at its maximum hit points. You may spend an additional spell point when using a cure or invigorate to affect an additional creature per 2 caster levels (minimum: 1). All targets must be within range. Your cure, invigorate, and restore abilities have a range of Close rather than Touch. When using your cure or invigorate abilities on a target or targets, you may spend an additional spell point to restore them as well. Your cure ability heals an additional 1d8 hit points. When restoringa target, you may make a magic skill check against the DC of any poison or disease the target is suffering from. On a success, this removes that poison or disease from the target. This does not reverse damage the target may have suffered from the poison or disease (such as ability damage), but it does stop the poison or disease from causing any more. Your cure ability heals an additional 1d8 hit points. When restoring a target, the target is also cured of the confused and dazed conditions. Your cure ability heals an additional 1d8 hit points. When restoring a target, the target is freed from movement-impairing effects. The target may make an immediate Escape Artist check with a bonus equal to your caster level against any applicable condition (for example, if it is entangled or grappled), and you may make a magic skill check against any spell or effect that causes paralysis, removing the condition if you succeed. Your cure ability heals an additional 1d8 hit points. When restoring a target, the target is also cured of all temporary or magical removal of their senses. This includes blindness, deafness, loss of Tremorsense, Blindsense, etc. Your cure ability heals an additional 1d8 hit points. When restoringa target, the target is also cured of all ability drain and temporary negative levels. Your cure and invigorate abilities function on creatures who have died within no more than 1 round. If the target’s new hit point total is at a negative amount greater than its Constitution score, then it comes back to life and stabilizes at its new hit point total. Otherwise the target remains dead. Creatures brought back to life in this manner gain a temporary negative level.